Just a few months late on this one, but I wanted to post a few pics from this summer’s Tiki Treasures & Polynesian Pinups II event at Bahooka… I wish I knew how to do my hair rockabilly-style like these ladies. 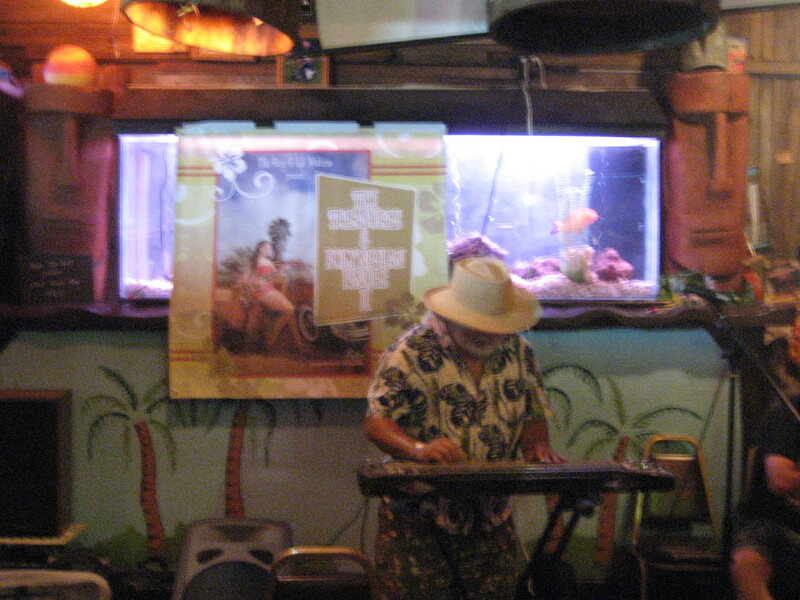 Sadly, we couldn’t stay too long to hear all the musicians lined up, but we did catch a set from Kimo on steel guitar. 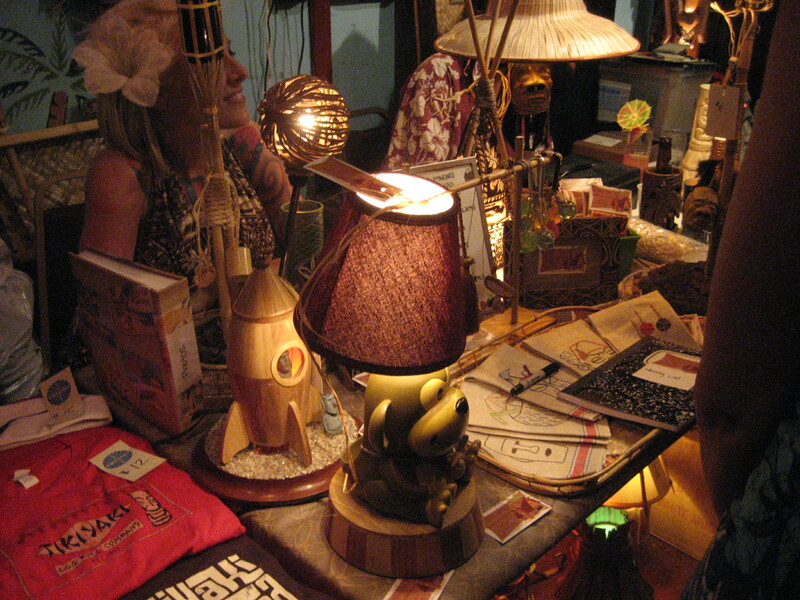 Several vendors and artists set up tables for their wares, Go Tiki among them. I love the cleverness of their tiki torch mugs, so realistic! 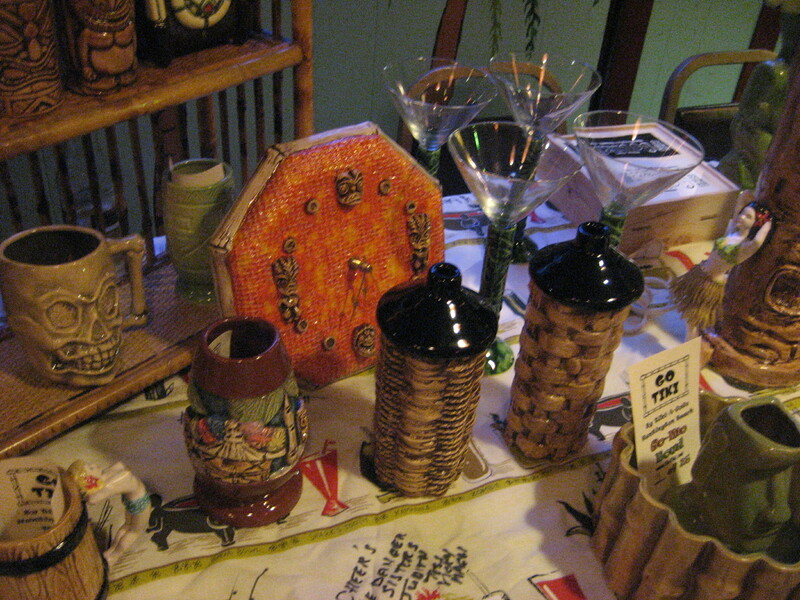 Nelson’s Tiki Hut also had some great stuff—I scored an awesome handmade tiki frame decorated with netting and tiny glass fish floats. 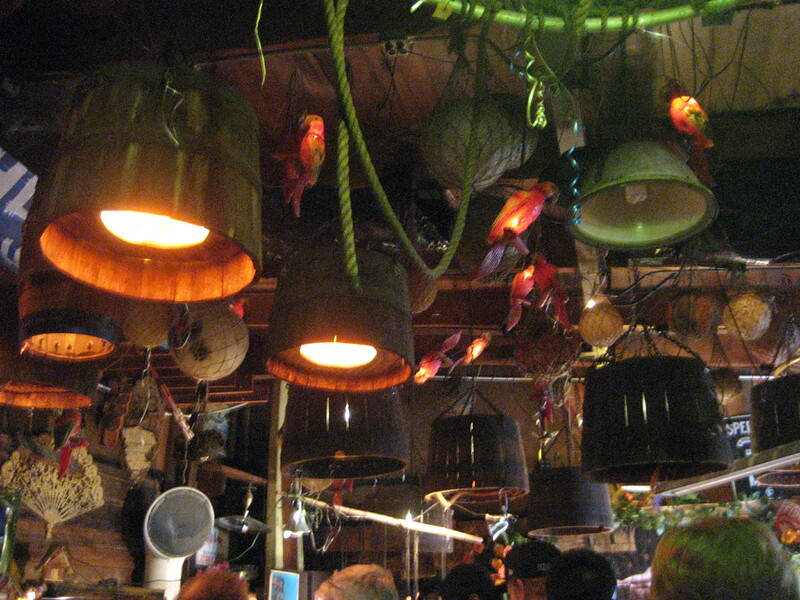 Mine’s the one in the middle (photo from Nelson’s Tiki Hut). In keeping with our tiki/baseball mashup, I put in it a photo of Mr. Baseball and I on the field at Dodger Stadium a summer or so ago. 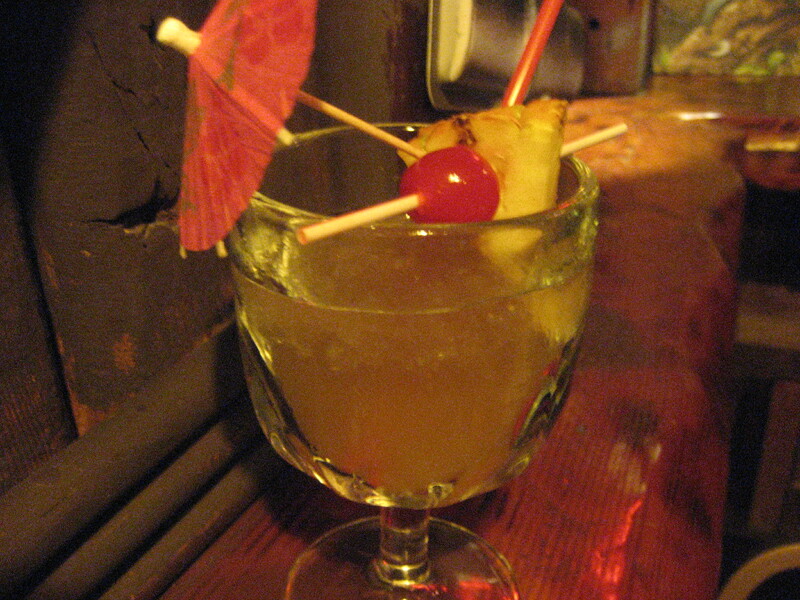 I was sipping on a Gold Cup ($6.50), which is billed as “rum, sugar and a touch of almond flavor,” but I mostly recall it tasting like pineapple juice. I would get it again, but there are so many other drinks to try! iz seting ryte nehxt 2 u en u r naut peting mi. wha dis?